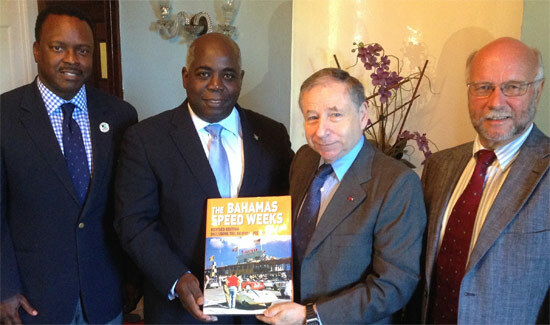 After speeding around the capital last week, entrants and organizers from Bahamas Speed Week slowed down with an excursion to the luxurious Grand Isle Resort & Spa. Popular brewer of brands, like Kalik and Heineken, is advocating to keep to keep drivers under the influence off the roads. 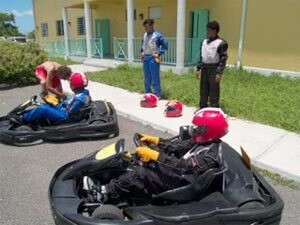 Sunday December 1st will see the participating student drivers from CC Sweeting, AF Adderley, Doris Johnson and CV Bethel show off their newly acquired Kart driving skills. A record number of local drivers and the world’s number one award-winning historic Ferrari will highlight the third Bahamas Speed Week Revival, fast tracking heritage and sports tourism. A new element introduced into Speed Week 2012 was to invite any interested schools and youth groups to build Box Karts for display at the event. Hundreds of people turned out for BTC’s ‘Let’s Make A Deal’ prize-winning party game night, where the winner of the ‘BTC Knight Rider Car Sweepstakes’ was announced. The cars are the stars in the Bahamas Speed Week Revival — an exhilarating event where $100m worth of classic motors speed around Nassau’s tropical coast.